Comment: (1) Vacuum out old insulation; (2) air-seal attic; (3) patch any holes in the attic. Comment: Most of the flooring in the living space throughout this house (bedrooms, living room, hallway) is refinished Douglas fir. This surface is actually the "sub floor" and never meant to be the flooring of the living space. When we bought the house, it had thick wall-to-wall carpeting. We tore out the carpeting and had the sub flooring refinished and have been very happy with the look of the refinished Douglas fir. Unfortunately, much of the house is drafty and cold in the winter because theirs nothing covering over the one layer of sub floor, and also because the sub floor has some very small spaces between the boards here and there where wood putty has come out over the years. Someone has suggested we get under-the-floor insulation installed in the crawl space. We have a raised foundation house in Burbank. That's what we're looking into. 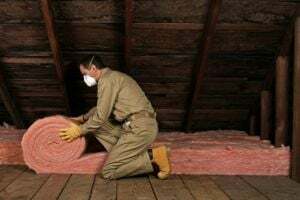 Comment: Need old insulation removed from attic. The city will re-install afterward. Burbank Insulation Contractors are rated 4.83 out of 5 based on 843 reviews of 12 pros. Not Looking for Insulation Contractors in Burbank, CA?